Rockstar Games has revealed their own social network, called Lifeinvader, which will tie into the upcoming online part of Grand Theft Auto V, which launches in October. 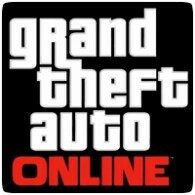 The site ties in with your Rockstar Social Club and gives you a profile for your Grand Theft Auto Online character and allow you to connect with other players. You’ll be able to visit pages for various products, shops and services from within the game, and get discounts for “stalking” them on the site. Various products, shops and services within the game are also on the site, and offer up discounts to people who “stalk” them on the site (a piss-take of Facebook’s “Like” button. More pages are being added all the time as Rockstar builds its parody network ahead of GTA V’s release next Tuesday, September 17th 2013.